What Has Changed in the Aluminum Horse Trailers Industry? When the first modern horse trailers were built in the late 1950’s, they looked much different than trailers today. Angled iron, cold-rolled steel and bare sheet metal were welded together before being rolled into a booth, primed, and painted. The weak welded joints quickly succumbed to oxidation and these early trailers rusted out in the blink of an eye. Aluminum trailers in the 1980’s seemed like the perfect solution, but they quickly proved to be unsafe in accidents and too weak for long term use. Public favor has remained with these two styles over the years unaware of a third and much better option. We’re going to take a look at the problems with older construction methods and talk about the benefits of Z-Frame horse trailers. What Has Changed in the Industry? 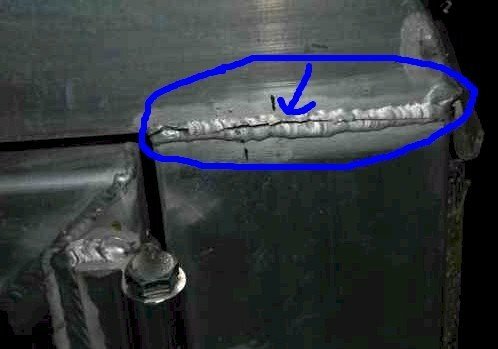 Back then, the only way to attach a piece of steel sheet metal to a piece of steel tubing was to weld it. Unfortunately, there’s not a way to seal off the moisture between the thin sheet and the tubing. Once the moisture invades, rust begins to form. In order to combat the rusting problem, manufacturers turned to aluminum in the 1980’s. Companies like Featherlite began to produce very shiny and rust-proof aluminum trailers. They looked great, cost a ton, and public perception soon accepted the myth that they were the best kind of trailer out there. A large reason that people thought aluminum was so great was because it was so expensive compared to steel. It’s a natural tendency. Products that cost a lot surely must be worth the extra dollars, right? In this case, no. Compared to older steel models, aluminum trailers were much weaker and posed several safety hazards. Still, more and more manufacturers joined the movement. “Larger horse trailer manufacturers quickly jumped on the bandwagon and began promoting aluminum as a light weight, non-rusting option in comparison to steel which was heavy and rust prone,” Brad explained. Fast forward to 2017 and the industry has seen some major advancements. Today, paints, sealants, compounds, primers, and other technologies used to secure one metal to a different type of metal are much more sophisticated than 30 years ago. We can secure the trailer skin to the framing without the use of bolts, screws, or rivets that are vulnerable to weathering. Remember, the weakness of old steel trailers was in the welding points between the tubing and the sheet metal. If manufacturers from that time had our modern bonding techniques, aluminum may never have risen to power. Today’s modern steel trailers often take advantage of these new technologies for a longer lasting, albeit imperfect, solution. When it comes down to it, steel trailers are much safer than aluminum trailers. “The fact is that a steel frame trailer continues to be very durable, very safe, and certainly a preference of mine in comparison to an aluminum chassis.” Many manufacturers are just in ‘so deep’ with the aluminum construction that they are unable to back out and change designs.